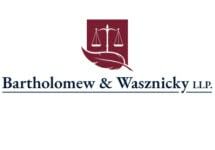 At Bartholomew & Wasznicky LLP, our experienced and caring divorce lawyers know that the issues you're facing are complex, difficult and emotional. However, we will do everything we can to help you divorce with respect, always consider the best interests of your children, make wise financial decisions and move forward in your life. Our divorce lawyers have over 125 years of combined family law experience, which far exceeds any other firm in the area. We're also exclusively dedicated to the practice of family law. It's experience that you can trust to make a positive difference for you, your family and your future. We keep current and up-to-date on the changes in the law and procedures. By regularly attending continuing education classes, all of our knowledgeable divorce attorneys far exceed the requirements required by the State Bar of California. The law can be complicated, but our divorce lawyers have the seasoned communication ability to ensure that you're informed, prepared, aware of your options, and focused on making decisions that are in your best interests. We'll also treat you with respect and care at all Ames. Our firm has the highest rating (AV) from Martindale-Hubbell, and our partners have been named as Northern California "Super Lawyers" in Family Law each year since the award was introduced in 2004. We have also earned the highest rating from AVVO (10.0). These distinctions reflect our unwavering commitment to client service, and our ability to achieve successful results. We offer a wide range of options for our services, including (but not limited to): Limited Scope Representation, Litigation, Minor's Counsel, Collaborative Divorce, Mediation, and Document Preparation/ Consultation time only. These options give you the freedom and flexibility to achieve an agreement that fits your distinct family law needs. Our team approach gives you access to dedicated divorce lawyers and paralegals who are responsive to your needs, and ready to provide support every step of the way. Plus, our paralegals bill at reduced hourly rates from our divorce lawyers, and as such we can perform many tasks at an appropriate lower rate. We have established relationships with financial, forensic and mental-health professionals (among others) who will help us prepare your case from every angle as needed. They will also partner with us in helping you successfully make it through your divorce and into your new life ahead. What Expenses Can Be Paid With Child Support Payments?